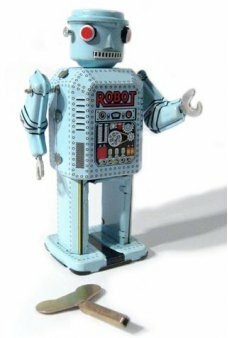 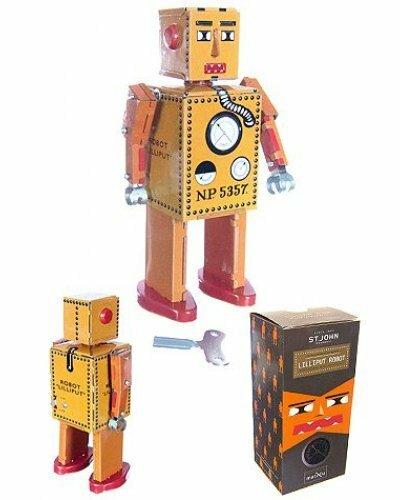 This Special Edition Lilliput Robot features the original details of the very first tin toy robot from Japan. 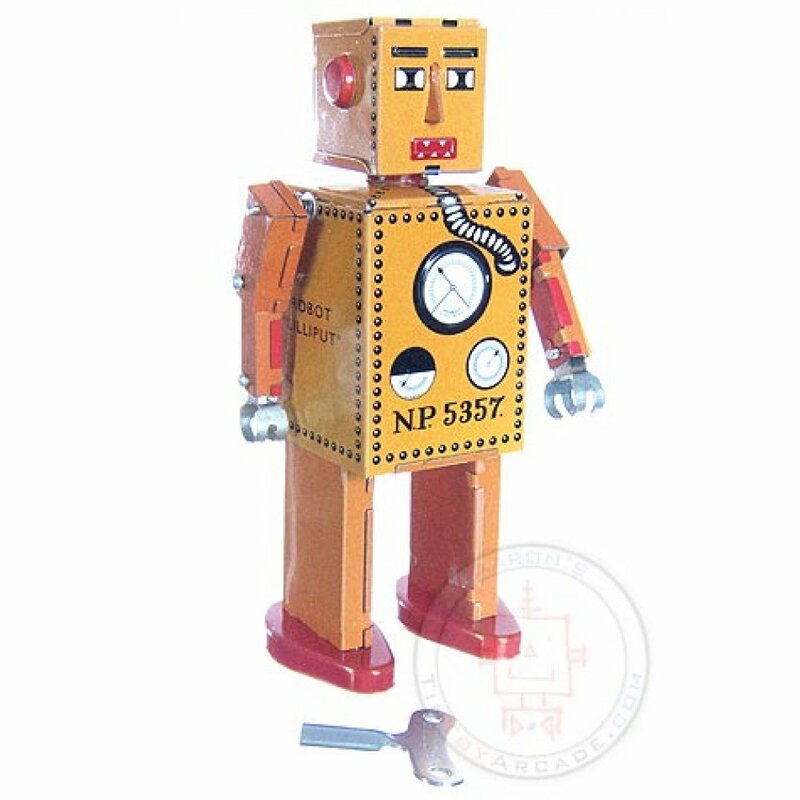 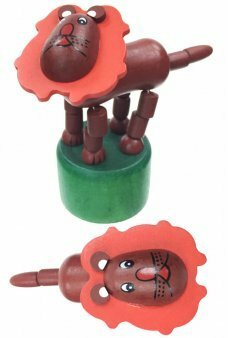 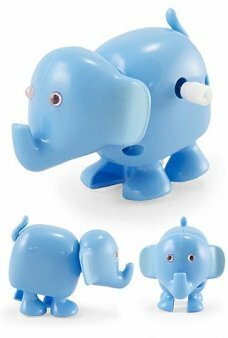 Lilliput uses pins that move under his feet to walk. 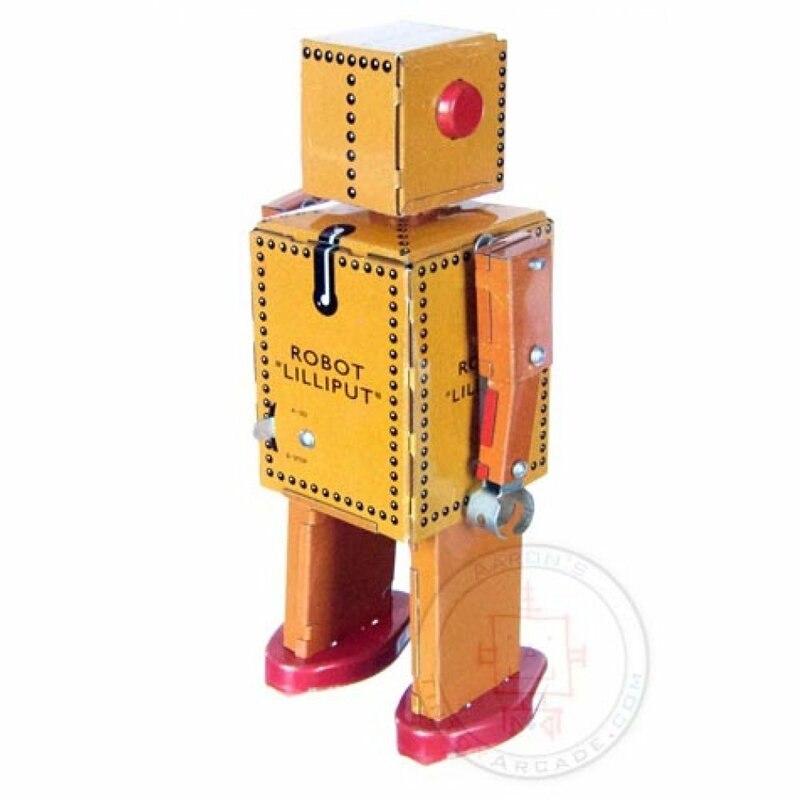 Like the original, Lilliput Robot, he has a Go/Stop switch mounted on his back. 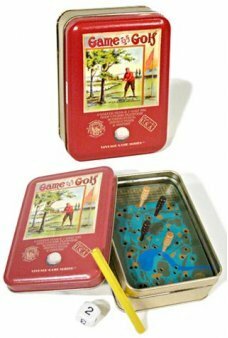 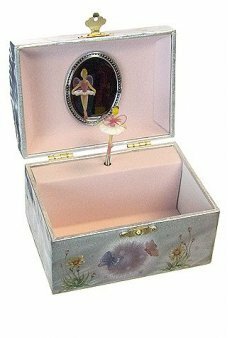 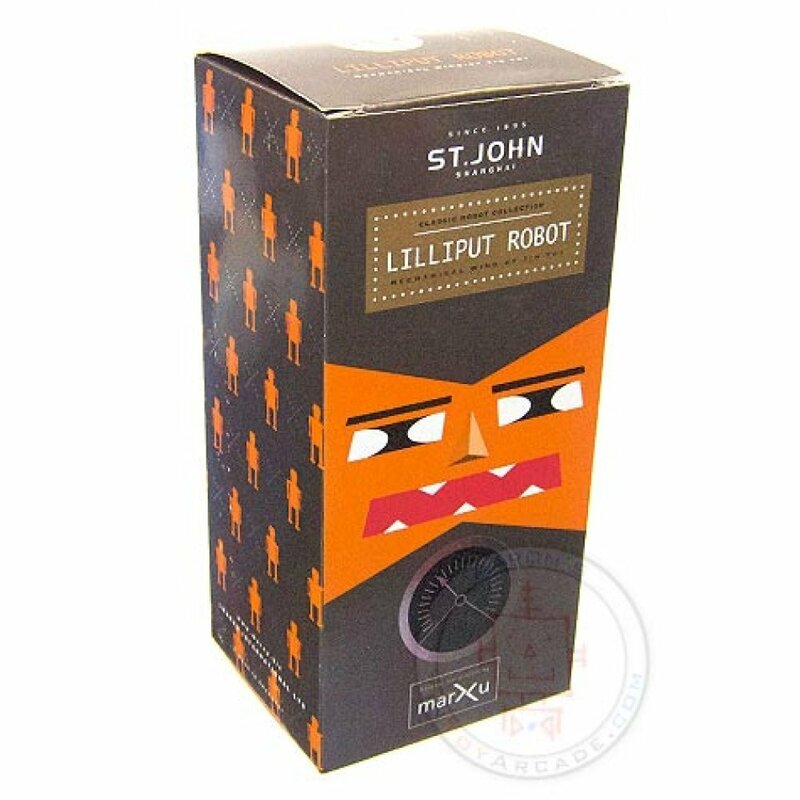 Out limited edition Lilliput come in a beautiful printed box - a very special gift for your tin toy collector! 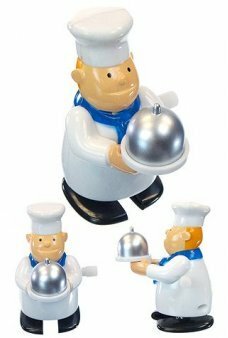 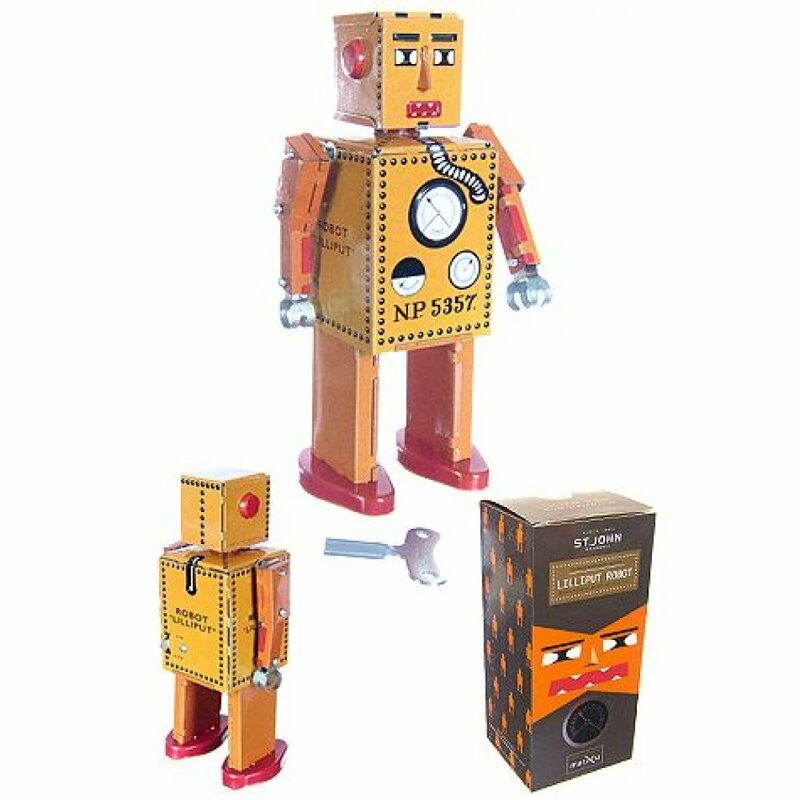 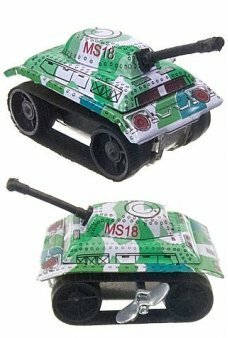 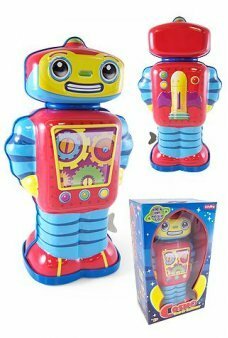 Package: Multicolor Color Gift Box - "Lilliput Robot - Classic Robot Collection"